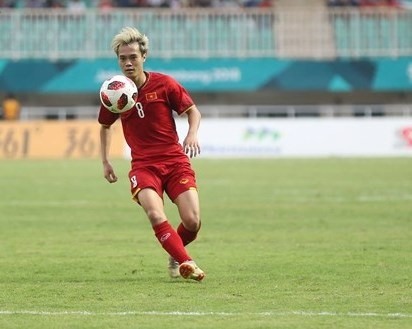 Vietnamese striker Nguyễn Văn Toàn’s goal in the 108th minute of the quarter-final against Syria was chosen as one of the four most memorable moments in the men’s football at the Asian Games 2018 (ASIAD), according to Football Tribe. “Toàn’s tap-in during extra-time has created history for Vietnamese football. His strike meant that the nation’s men’s team progressed to the last four of Asian Games for the first time,” the website says. Football Tribe also ranked the other three most memorable moments, including the friendship of Indonesia and Palestine, Safawi Rasad’s double against South Korea for Malaysia, and Thai striker Supachai Jaided’s late goals.